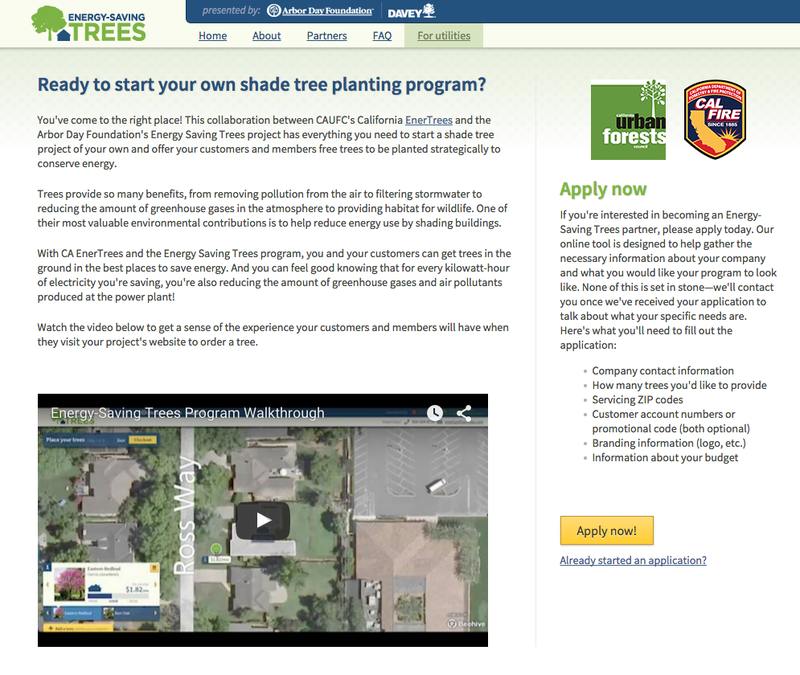 California Urban Forests Council and Urban Ecos partnered with the Arbor Day Foundation to expand their new Energy Saving Trees program so that groups--large and small--throughout California could run shade tree programs with little effort and no start-up costs, only the cost of the trees. We call the program California EnerTrees. You'll find a summary of the project here.